Don't you just love chilling outside in your backyard when the weather is warm? I know I do. You can make your time out in your patio that much more relaxing with the Harmonic Wind Chime. 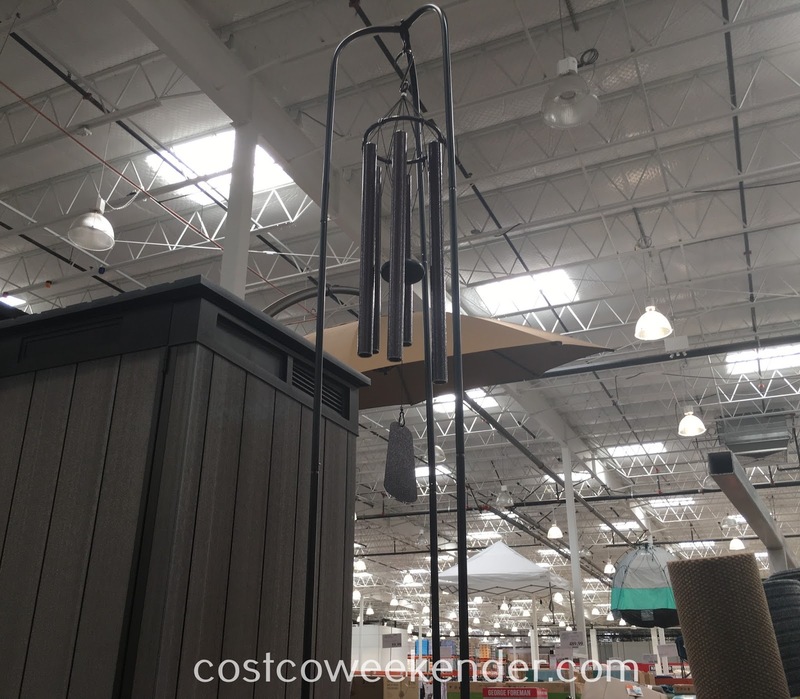 You'll love the tranquil sounds that the Harmonic Wind Chime has to offer. Suddenly, a lazy Sunday just got lazier with this bad boy. The sounds just add to the peacefulness of being outside allowing you to not have a care in the world. Now doesn't that sound nice? 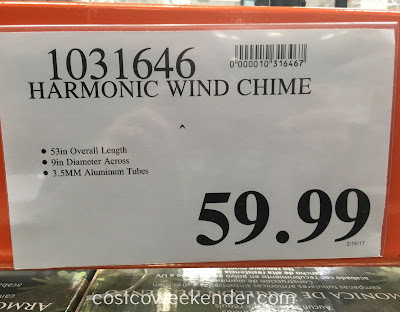 If so, then get the Harmonic Wind Chime from Costco. what about the Stand Costco uses where can you Buy it??? 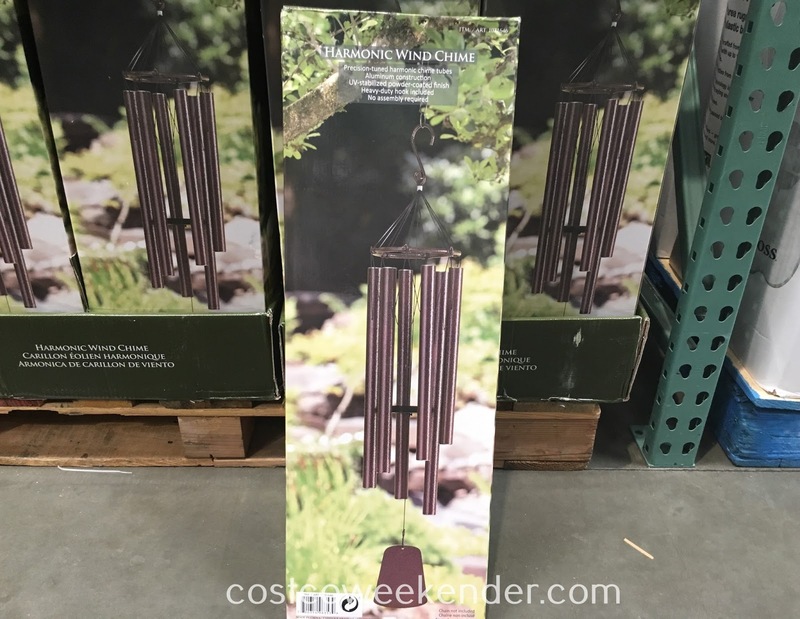 Hi @Anonymous, I'm not sure where you can buy the stand that Costco uses to display the Harmonic Wind Chime. I don't think Costco has it for sale since I didn't see a Costco price tag associated with it, but I just looked on Amazon using the search term 'wind chime stand' and it appears that they have several wind chime stands available. 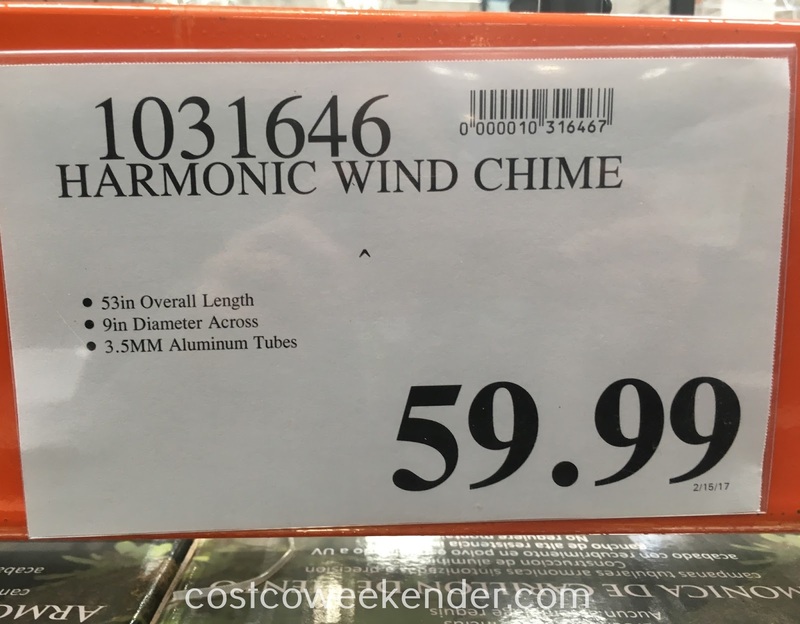 They may not be the exact one that I saw in Costco, but there are some that are quite similar and are not expensive at all. I hope this helps.